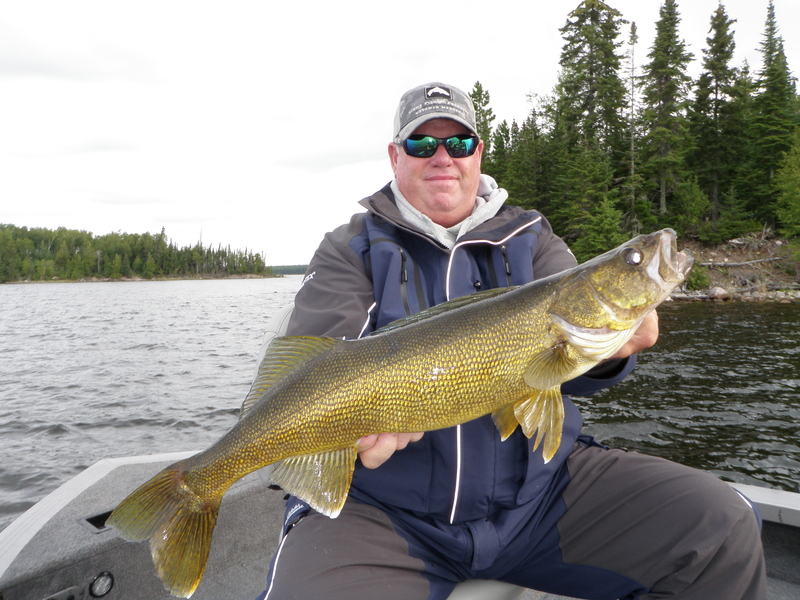 Not much has changed over the last week on the south shore of Lac Seul. 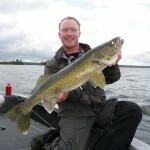 The weather and walleye fishing were consistently good. 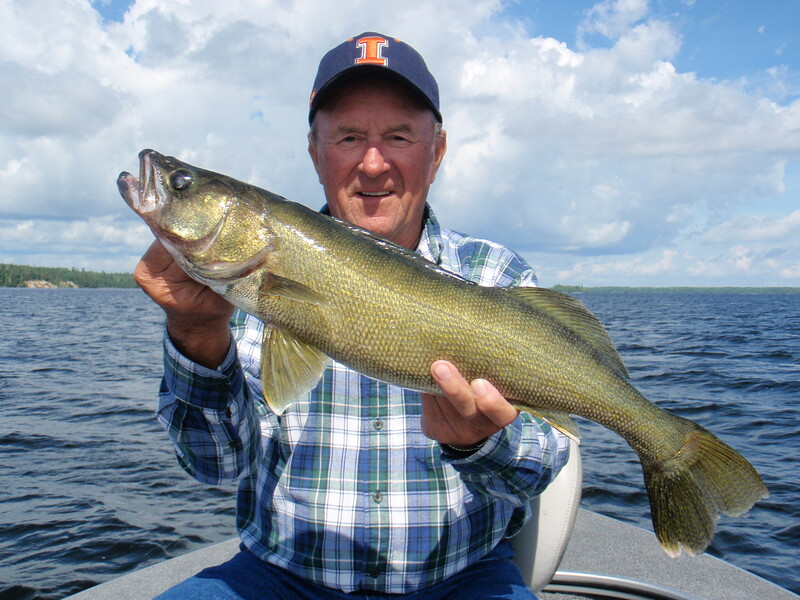 Our stats weren’t as off the charts as they have been the last two weeks, but overall, everyone would call it excellent walleye fishing. 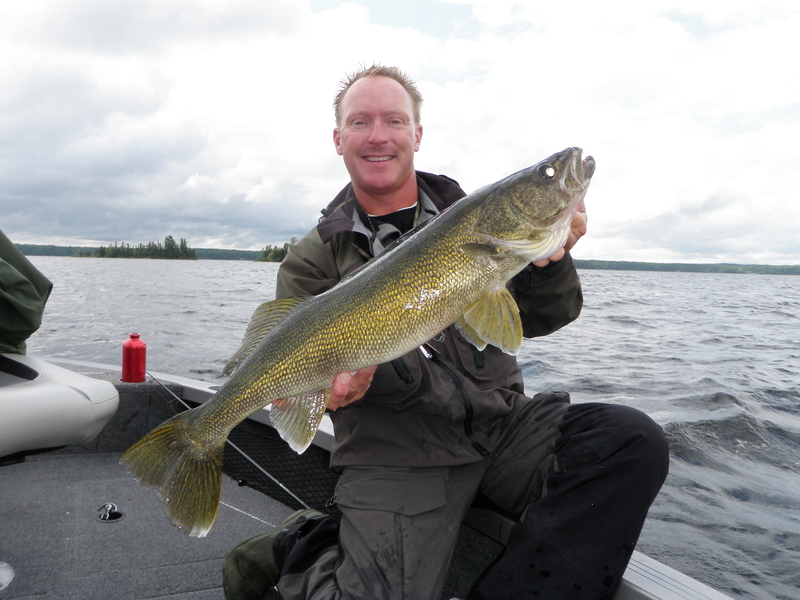 For the week we had 30 walleyes over 27 in., including 4 – 28s, and 3 – 29s. 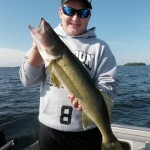 Volume was a little lighter than last week, but we still averaged 35 walleyes over 18 in. per boat per day. 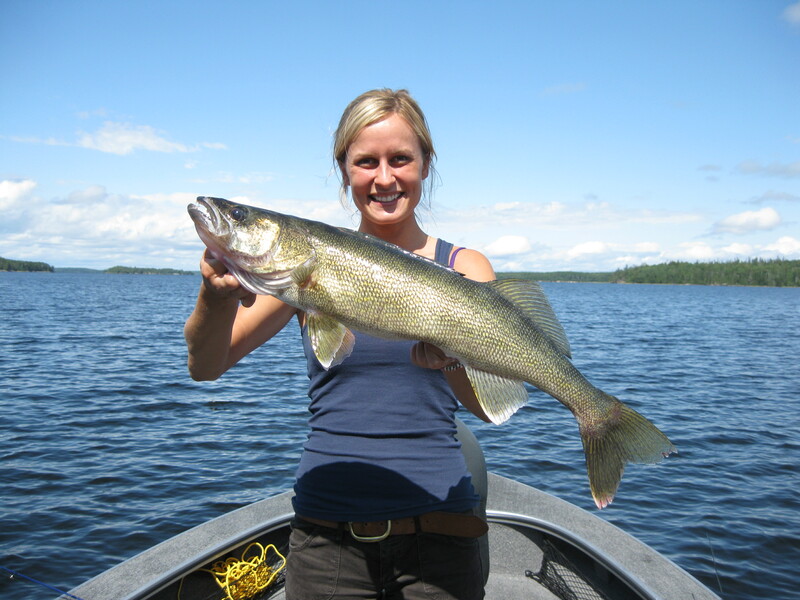 As a general trend, main lake rock structure produced more and bigger fish than main lake sand. 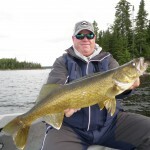 The most active depth zones continued to be 20 – 32 ft. Once again, production was evenly split between Gulp Alive plastics, jigs, and leeches. 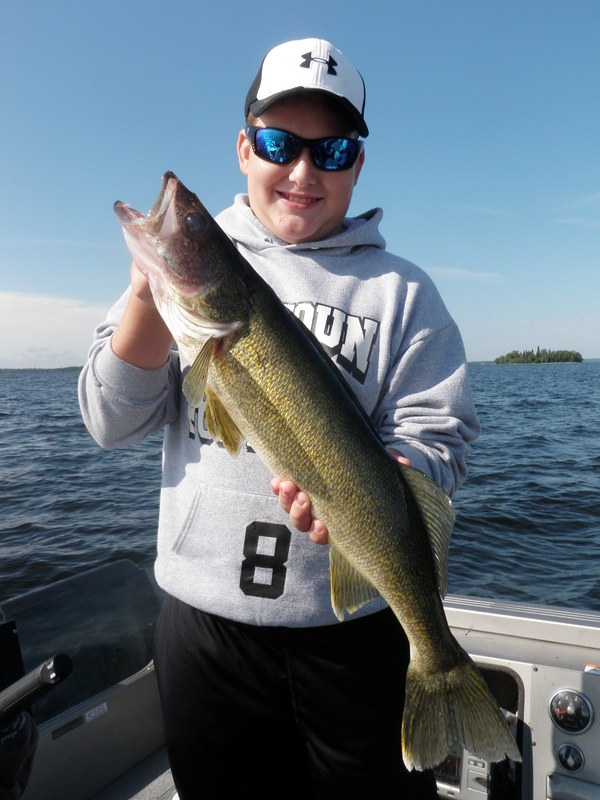 Virtually all of our angler effort was focused on walleyes this week. 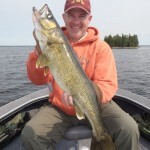 There were a few random nice pike and bass caught, but there were no patterns worth mentioning. 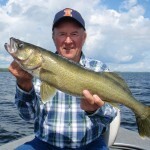 This report is much more brief than usual, as very little has changed; water levels are normal, temps are average, walleye locations are predictable, the morning bite has been great, and the afternoons have been slower. 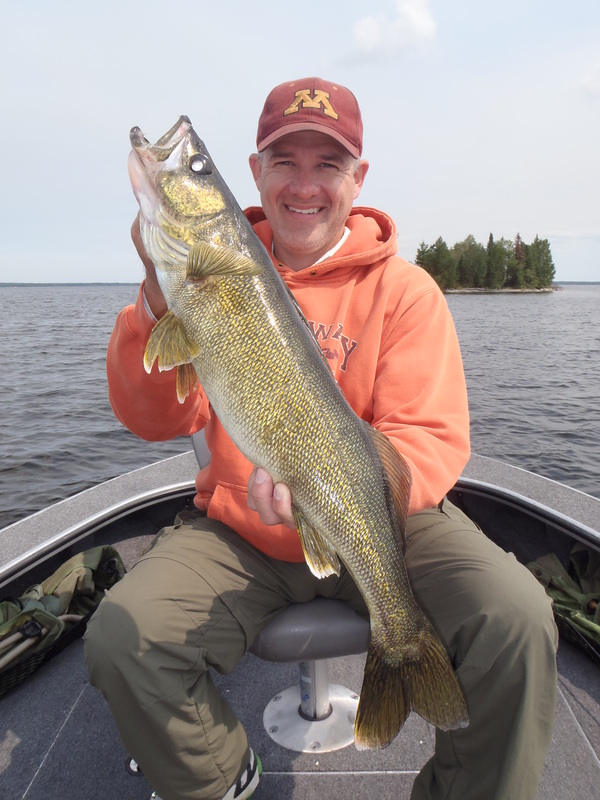 We aren’t accustomed to “normal,” but that is what the fishing experience was like this past week at the Wheel and it was great.